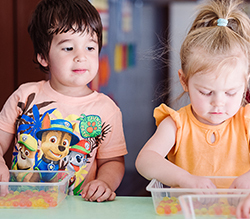 Knowing how important the first 3 years of a child's life is, we at Bonthuis, strive not only to give the very best physical care to our toddlers but also to lay a solid grounding for their future education and development. We achieve this through our excellent staff. 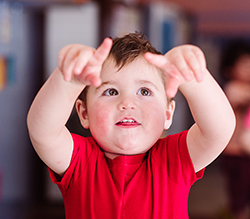 In the crèche we have a physiotherapist and fully qualified teachers as well as assistant-teachers and helpers. • Training in basic social skills i.e. hygiene, manners, etc. • With specific emphasis on our weekly theme, their vocabulary is expanded in order to gain more knowledge and experience of the world around them.